They are now a first choice of every woman who knows how to wear better cloths and what is the real fashion is. Fashionistas are always waiting for the new launches of Exclusive’s Pakistani Casual Dresses that are perfect for any occasion. Pakistani Casual Dresses have been embellished with stunning designs and rich color combinations with front and both embroidery. They are available in stitched variation and ready to wear. 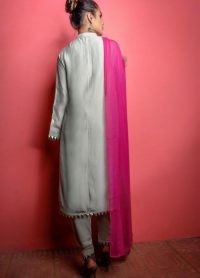 These dresses are purely design with chiffon, silk, cotton and khaddi net. All of them are ready to wear for your parties and any events of life. The designs are really very rich in color and best contrasted embroidery. 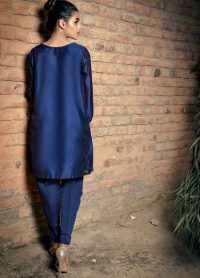 All these Pakistani Casual Dresses come with stylish and trendy Cigar Pants, Shalwar, Pants, Capris, Churidar Pajama.Explore and Buy our latest Ready to Wear Pakistani Casual dresses with a wide variety of color, patterns and styles. We understand it’s equally important to look elegant all the while being comfortable. 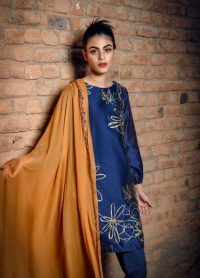 Whether you are having guests at home, are going to a relative’s or just want to spend a day out with family, Pakistani Casual Dresses is the most important part of your wardrobe, right? Pakistani Casual Dresses are hard to find. Intricately designed and quality casual dresses, that is. 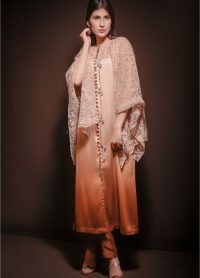 Exclusive Inn Fashion Boutique has proudly been offering the most Fashionable Online Pakistani Casual Dresses Collection for the past number of years. We have a proven record of selling some of the best Casual Dresses in the market that have satisfied our customers the most.So if you are looking forward to avoiding the hassle of walking for hours in the market, just buy some Pakistani casual dresses online from Exclusive Inn. Satisfaction is guaranteed! For urgent and customized orders, please give us a call during business hours and our representative will happy to hear from you.